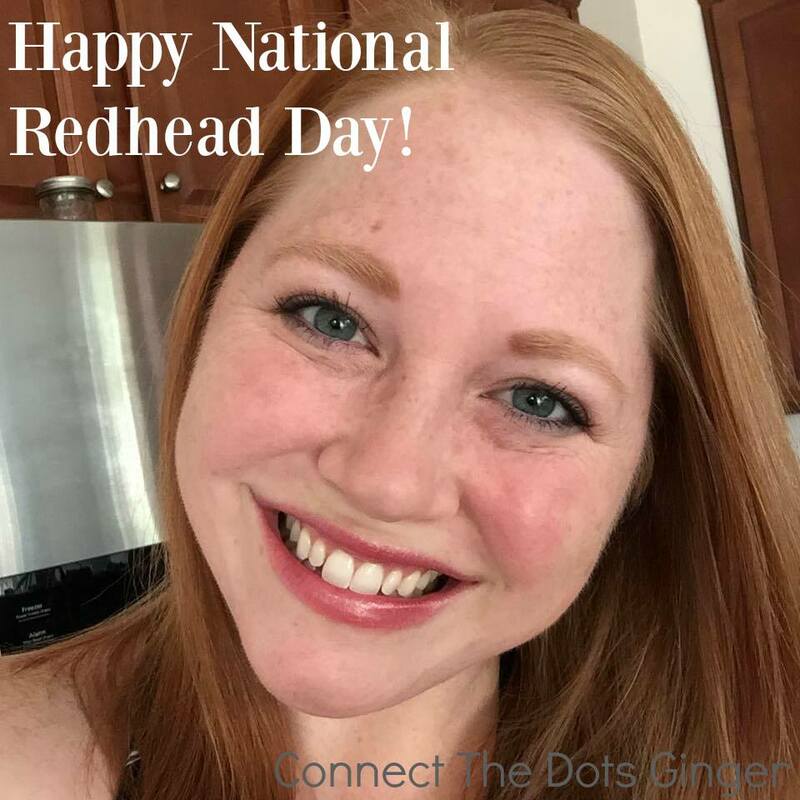 Today is National #LoveYourRedHairDay, or I like to think of it as National Redheads Day! Yep! Us gingers get a whole day to celebrate our fiery locks, freckled bods and hot tempers! Yep, we are pretty awesome, full of spice and everything nice! And since I am a gorgeous GINGER, I wanted to share more about my story and some struggles I have dealt with until I finally embraced my natural beauty! In all seriousness, I used to not really like my hair color growing up. I wanted to be blond, because red just wasn't as popular. And the freckles, I would get made fun of because they are EVERYWHERE, especially since I still have a no freckle zone speedo outline on my back from the days I "tried" to get a tan laying out in my backyard only to increase my freckle line and get FRIED by the Arizona sun. But like Batman, I turned what I used to dislike into my alter-ego and now I couldn't imagine being anyone other than who I am right now, redder hair, darker freckles, white white skin and all! Because I AM the fit plus size ginger helping others CHANGE THEIR LIVES! I love who I am what I do to help motivate and coach others and finally how I look and am thankful that I finally realized how beautiful I really and truly am inside and out! Here's a shout out to all my red heads out there. Some days, you will look in the mirror and wish for something different but, you are truly unique and beautiful and don't every let anyone and especially yourself tell you otherwise!